Please excuse me while I blow my own horn. Today's lunch run started like any other. About 75 degrees but overcast and very humid and pretty windy. I was just planning to go out for 4miles at my normal easy pace which these days is 8:30 or so. My garmin was fluky early in the first mile and didn't really grab the right distances but settled out by about a 1/2 mile in. For the first mile I was just running. Started out creaky as I do every day but somewhere along the way I realized I was flying and it was easy. Like I was coasting. When my watch beeped at one mile I just kept it up enjoying the feeling. Mile one to two: Still feeling good with only a little effort. My pace was hovering around 7min/mile plus or minus and I couldn't believe it. Along the way, I started to wonder what would happen if I pushed it for a mile. The watch beeped at the mile 2 split and I glanced down and my split was 7:02. WTF? That was by far the fastest mile I've ever run. Mile two to three: I still felt damn good so I decided to drop the hammer as much as I could. I was working pretty hard and definitely was not at a conversational pace. My form, however, still felt pretty neutral and free wheeling. At the mile 3 beep I looked down and almost fell over. 6:34 minutes!!!!! Where the hell did that come from? I gave myself a well earned cool down and headed in with a giant smile on my face. 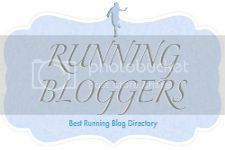 When I was running my first Ultra at the Pineland 50K, my feet took a beating. I wore my Trail Gloves (review here) and they performed spectacularly with one small exception. My issue was that I had been running daily for about 105 days straight at that point (Part of the 120 day streak) and had developed a little bit of a sensitive bruise on my right foot. The last 5 miles of that 50K were up and down long hills and the downhills were really punishing because every step was pain. I was really wishing for a bit more protection. Enter the Merrell Mix Master 2 generously provided by the good folks at Merrell. Shown here with the Barefoot Train Flux Glove Sport (review coming soon). Made for transitioning through multiple adventures, our minimalist Mix Master multi-sport shoe lets you experience your BareForm™ while offering lightweight cushioning. With a 4mm heel to toe drop, its thinner, lighter midsole cushions while getting you closer to the ground for better control. The lightweight air mesh upper with bellows tongue fits snugly to keep out debris. 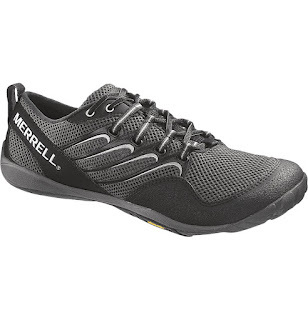 What all of this really sums up to is a pretty darn good trail shoe that provides way more protection than Merrell's Barefoot line but still gives you some of the benefits of a barefoot shoe. I was a little hesitant about these shoes before getting them for two reasons. The first is that they have a 4mm drop or heel-toe differential. For most of the past 2 years, I have not worn a heel on any shoe and my knees have never felt better. I was really worried about reintroducing that heel and the possibibility of knee pain. I'm happy to report that I never noticed a difference with the heel on the trails. I haven't used these on flat roads so I don't know if it would make a difference there. The second concern was that the Mix Master 2 is constructed from a different last than the Merrell Barefoot line. What this means in English is that the Mix Master 2 has a little more of a traditional shoe shape with a narrower forefoot. In this regard, I am happy to report that the shoes fit me fine and I have never had anything approaching a blister though I do wear socks with these bad boys since they DO NOT have a sockless liner. Lest you think I wear rose colored glasses for Merrell and only see puppies and rainbows in their shoes, I will tell you about my one problem. The lacing was a bear to get right for me. For my first few runs, I couldn't get it tight enough to keep my toes from jamming into the front on the downhills despite squeezing my foot to death. This was really bumming me out because I was loving having the wonderful foam and rock plate on the rocky descents. If only these shoes had the super awesome bestest Omni-Fit lacing system like the Trail Gloves, all would be right with the world. Please Merrell, Please! I was pondering this on a trail run when I thought about the lacing tricks that hikers do to get the hiking boot fit just right. I came home and found a site on lace locking and my problems were solved. In effect, the lace locking creates a localized Omni-Fit area. I can now get the tightness just right to keep my foot held back and not crush my entire foot in the process. I highly recommend lace locking and have been experimenting with it on my other shoes as well. I've logged about 100 or so trail miles on these shoes. My longest run was an 18 miler with a few 13 milers thrown in there too. I've run some rugged rocky technical trails, some flat fire roads, and some steep hills. The shoes did great under all conditions. They allowed me to really dig into the uphills in spots where my Trail Gloves just didn't have the grip. The foam and rock plate have allowed me to open up on the downhills and push to the edge of my control which is freaking amazingly fun and scary. They are like a bullet proof vest for your feet. And they go great with a Sport Kilt (click here for a review). Rock plate and foam. As my Altra wearing cousin tells me, "Embrace the foam side." Lightweight upper makes them a fairly cool wearing shoe. The bright green (Parrot) of my pair just looks fast. Not the Merrell Barefoot last. Tough to get the lacing tightened correctly without lace locking. Running Naked on Sharp Pointy Stuff: Another Zaps FREE SHIRT Giveaway!! Krista did our Team Squirrel Wipe shirts for Pineland 50K. Get some.